Today’s big L.A. plan was pedicures. It felt glorious to be pampered along with one of my besties. 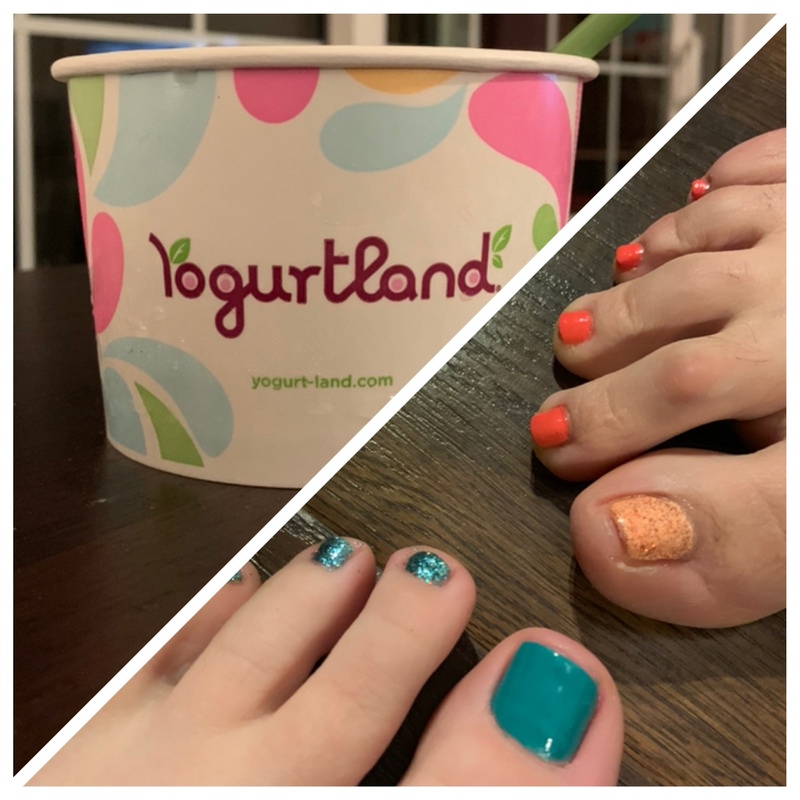 Alyssa and I selected cheerful, bright spring colors for our toes. It was a lovely day, finished off with scrumptious frozen yogurt. Meanwhile, Mama enjoyed a wonderful visit with our friend Ellen and embarked on a hunt for BBQ. Today’s #OneGoodThing was spending time relaxing with our dear friends! What was your #OneGoodThing today? Please share in the comments! Day 83 of 365. And Day 1,179 in a row (here’s the first 366, & the following 365, & the third year of 365 good things)!